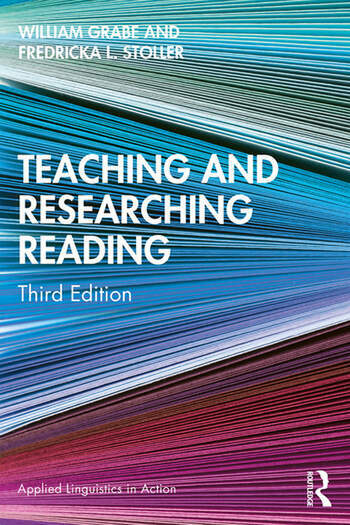 Now in its third edition, Teaching and Researching Reading charts the field of reading (first and second language) systematically and coherently for the benefit of language teaching practitioners, students, and researchers. This volume provides background on how reading works and how reading differs for second language learners. The volume includes reading-curriculum principles, evidence-based teaching ideas, and a multi-step iterative process for conducting meaningful action research on reading-related topics. The volume outlines 14 projects for teacher adaptation and use, as well as numerous new and substantially expanded resource materials that can be used for both action research and classroom instruction. William Grabe is Emeritus Regents' Professor of Applied Linguistics at Northern Arizona University. Fredricka L. Stoller is Professor of TESL and Applied Linguistics at Northern Arizona University.